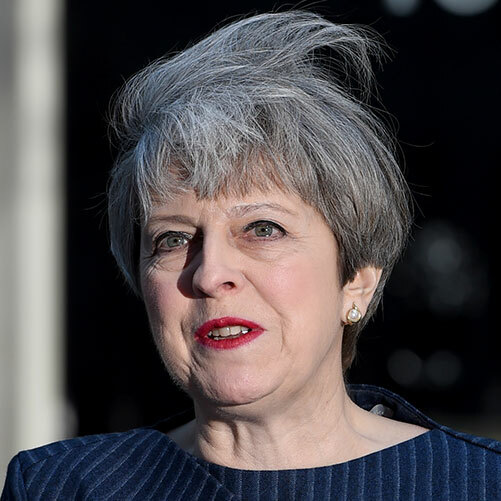 In April British Prime Minister Theresa May announced an early election for 8 June this year, despite repeatedly insisting she would not call a snap election. May has said she wants unity at Westminster to make a success of Brexit. When the election was called, observers pointed out that May wanted to take advantage of opinion polls which put the Conservative party in a healthy lead against Labour - however Labour began closing the gap two weeks before the election. In the lead up to the UK General Election, MEMO takes a look at what several of the main parties are saying about the Middle East. Click on the icons to view the party's stances. A centre-right political party, currently the largest in the House of Commons. 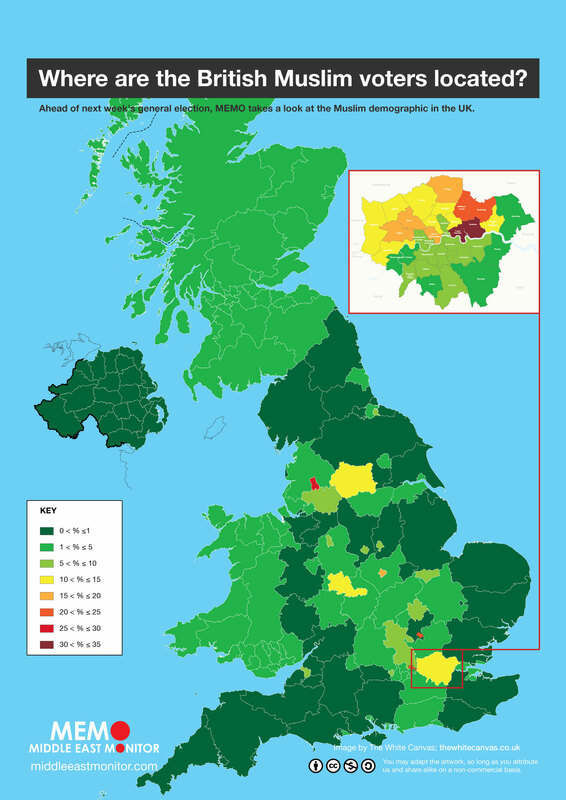 In 2010, the Conservatives and Liberal Democrats formed the first coalition government in Britain since 1945. May's proposed Counter-Terrorism and Security Act 2015 has a broad, unclear definition of extremism: "The vocal or active opposition to our fundamental values, including democracy, the rule of law, individual liberty and the mutual respect and tolerance of different faiths and beliefs." In 2015 May was named "worst Islamophobe of the year" by the Islamic Human Rights Commission for the counterterrorism policies she implemented when she was home secretary. The Prevent strategy introduced by Labour and bolstered by the Tories has been described as a policy that is "sowing mistrust and fear" in Muslim communities. As a result of the policy, thousands of children have been reported to authorities by teachers. May has been urged to do more about hate crime that has risen since the Brexit vote. In 2013 May told Sky News: "I think it's for women to make a choice about what clothes they wish to wear. If they wish to wear a veil that is for a woman to make a choice." In 2012 May extradited British citizen Talha Ahsan to the US to face charges that he was running a pro-jihadi website yet blocked the extradition of British computer hacker Gary McKinnon on the basis he was "seriously ill". Both Ahsan and McKinnon had both been diagnosed with Asperger syndrome. Voted for the Iraq War. Supported military action in Libya. Voted for the government motion for military intervention in Syria in 2013. Earlier this year she said: "The days of Britain and America intervening in sovereign countries in an attempt to remake the world in our own image are over." Foreign Minister Boris Johnson has said the UK could bypass a Commons vote to join US military action in Syria, adding it would be "very difficult to say no" if Donald Trump asks for help in taking action against Bashar Al-Assad's regime in response to another chemical attack. Closed down the Government's child refugee scheme early and announced that the "Dubs amendment" scheme would take 350 unaccompanied child refugees rather than the expected 3,000. Scrapped the post of minister for Syrian refugees. On a trip to Jordan the PM announced a £1 billion package to support refugees in the countries surrounding Syria in an effort to keep them close to Syria and stop them making the journey to the UK. MP for Finchley and Golders Green Mike Freer has described Theresa May as a "true friend of Israel". In 2011 May attempted to deport Sheikh Raed Salah - a Palestinian citizen of Israel and leader of the northern branch of the Islamic Movement in Israel - from the UK on the basis that he had written an anti-Semitic poem. A UK court later overturned the ban as there was no evidence to support the charges against him. She said that Britain would celebrate the centenary of the Balfour Declaration with "pride". Ahead of a trip to Saudi Arabia, May said she can be a role model for women across the Middle East. In September 2016, May said that selling arms to Saudi Arabia helps "keep people on the streets of Britain safe". The UK has approved some $3.3 billion worth of arms to Riyadh since their air campaign on Yemen began, an air campaign which has targeted schools, mosques, hospitals and camps for the internally displaced. Labour forms the official opposition in Parliament. Labour were last in government from 1997-2010 under Tony Blair and Gordon Brown. Corbyn called for Donald Trump to be banned from his UK visit until the Muslim travel ban was lifted. Has said the Government's Prevent strategy should be broadened out and focused on all communities to stop Muslims feeling singled out. He has described it as "counter-productive" and said that it casts "suspicion" on the Muslim community. On at least 13 occasions Corbyn has voted against counter-terrorism legislation. Corbyn was a hero of the anti-Iraq War movement. He campaigned against Western intervention in Libya. Voted against the 2013 motion authorising the possible use of military force against Syria. Opposed the motion to bomb Daesh in Syria. In an official statement following US President Trump's strikes on Syria Corbyn said: "Unilateral military action without legal authorisation or independent verification risks intensifying a multi-sided conflict that has already killed hundreds of thousands of people." Corbyn has said that immigration to the UK from the EU is not too high and that migrants play a valuable role in the UK. In 2015 Corbyn said Britain should take in more than 20,000 Syrian refugees, the amount pledged by then Prime Minister David Cameron. In 2016 Corbyn said that all Calais migrants should be given a chance to come to Britain if they have family connections in the UK. As an MP Corbyn wrote to then Foreign Secretary William Hague and said Gaza resembled "one huge, suffering refugee camp". In the same letter Corbyn asked that the UK stop allowing Israel's criminal politicians to come to our country freely and that it help end the siege on Gaza. He said Israel's victimisation of the people of occupied East Jerusalem is "an abomination and totally illegal". Corbyn has long been a critic of Israel's illegal settlements and the blockade on the Gaza Strip. 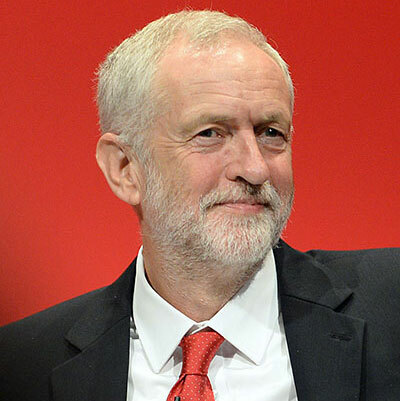 He has previously said that if he became prime minster in 2020 he would impose a two-way arms embargo on Israel and has said that Israeli universities involved in arms research should be boycotted. Corbyn accused the Conservative's Theresa May of sacrificing human rights to sell weapons: "This week in Bahrain we have seen the Prime Minister sacrifice human rights on the altar of the arms trade." He has asked Foreign Secretary Boris Johnson to back his demand that the UK stop arms sales to Saudi Arabia. He has accused Saudi Arabia of "committing what have the hallmarks of crimes against humanity in its war in Yemen. Farron has said that in order to be taken seriously in UK society you have to "hide your faith". Has said that his beliefs have come into question because he is a Christian and this wouldn't be the case if he was a Jew or a Muslim. The Liberal Democrats have pushed an amendment to scrap the Prevent strategy so that a more targeted and effective counter-terrorism policy can be introduced. The party has called for "British values" to be replaced with "universal democratic values" in successive strategies. Voted to support the establishment of a no-fly zone in Libya. Voted for UK airstrikes in Iraq and Syria against Daesh. Did not vote in the 2013 government motion on intervention in Syria. Supported Us President Trump's strike on Syria following the chemical weapons attack in Khan Sheikhoun. Tim Farron has vowed to allow 10,000 Syrian refugees into Britain every year. The party pledged to reopen the Dubs programme for unaccompanied asylum-seeking children stranded in Europe. 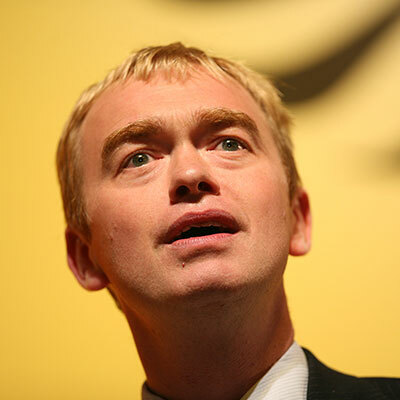 At Christmas Farron urged Britain to take in more child refugees from France. In 2016 he called on the SNP and Labour to back amendments to an immigration bill including extending immigration appeals and introducing judicial reviews. Has said that Conservative leader May's position on the refugee crisis has made "his blood boil" and that as a country we are seen as cold and not pulling our weight. Liberal Democrats candidate for Bradford East, David Ward, was sacked ahead of this year's election after he posted a tweet calling Israel an "apartheid state". Farron labelled him "anti-Semitic". In 2015 Farron described Israel's actions in the war on Gaza as "disproportionate". In light of the concern at a major rise in UK arms sales to Saudi Arabia, Farron accused former Prime Minister David Cameron of putting profits before human rights. "We should be a world leader in human rights and not a world leader in arms sales to unsavoury regimes." Nuthall has described radical Islam as a cancer in our society and later, when questioned about his comment, said: "I stick by every word". 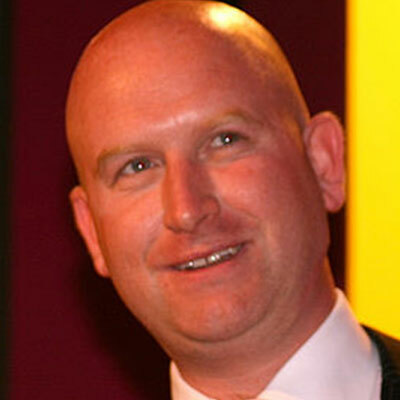 Nuttall advocates banning the burqa: "Face coverings should be banned in any public building." Nuttall believes that waterboarding is a "price worth paying" if it saves lives from terrorism. He has said that Islam has "everything to do" with terror attacks perpetrated in the name of Islam. After the 2015 terror attacks in Tunisia he wrote that to claim terror attacks "have nothing to do with Islam is so bonkers that those who make this claim should be thrown immediately into a lunatic asylum. These atrocities definitely have everything to do with Islam." UKIP have campaigned hard on reducing immigration but Nuttall has said it's a myth that the party is racist or anti-Muslim and in February campaigned outside the City Central Mosque in Stoke-on-Trent. In July 2016 Nuttall wrote on Twitter: "I was opposed to the Iraq war in 2003 for the same reason I opposed Libya in 2011 and Syria now. Remove dictators - get Islamic extremists." On Syrian President Al-Assad he has said that he is "not the threat to global peace" but radical Islam is. Nuttall upholds UKIP's approach to immigration which is a points-based system, similar to that used in Australia. In 2015 Nuttall told the European Parliament that what we have now on the continent is an economic migrant crisis, not a refugee crisis and said that "many are still flooding into Europe in their droves". In 2016 Nuttall called on the British Government to release details on where refugees in the UK are being housed to prevent attacks like the ones that took place in Cologne." In his acceptance speech as leader of the party, Nuttall said he wouldn't talk about Palestine: "Such issues don't affect real working people." Nuttall has claimed that Labour is more preoccupied with "hobby horses of human rights, Palestine and climate change than the things that really matter to working people." Nuttall told a gathering in Jerusalem last year: "Israel's main problem is its bad PR." He has also described Israel as "a beacon of democracy in a region of undemocratic theocracies". Israel is surrounded by nations who despise you and plucky good old Israel stands alone for decent values and that's something we should support," he said. Nuttall called on the government to block Saudi Arabian funding of UK mosques after the Westminster terror attack. On 4 April Nuttall wrote on Facebook: "Saudi Arabia spreads hardline Islamism around the globe. We should not be selling them arms." The Green Party is a left-wing political party. In 2009 Lucas spoke out against the growth of Islamophobia in the UK: "Racism is a blot on the face of civilisation, and must be wiped out. Singling out a particular racial or religious group and victimising them is completely unacceptable and must not for a second be tolerated." Lucas has been part of a campaign to recognise Islamophobia as a hate crime and has championed the cases of Babar Ahmed, Shaker Aamer and others. In 2015 she said: "I can honestly say, with my hand on my heart, that I've done more than any other MP in standing up for Muslims." In 2017 both leaders wrote to UK Prime Minister Theresa May to ask her if she knew about President Trump's Muslim ban before it was announced after reports suggested she had already been told. Bartley said: "News that the Prime Minister already knew about President Trump's Muslim ban is deeply disturbing and will send a chill down the spine of all who believe in a just and compassionate world." Bartley has also said: "Our response to the refugee crisis in Calais wouldn't have been to build a wall." Lucas has said the Iraq War was illegal and that former Prime Minister Tony Blair ought to be "held to the very strongest account" for his actions. "I believe Tony Blair is a war criminal". Bartley publicly advocated alternatives to the invasion of Iraq. Lucas opposes military action in Syria but believes we should take humanitarian action. Following US President Donald Trump's military strikes on Syria Bartley said that the Green party condemns Syrian President Al-Assad's barbarous and criminal use of chemical weapons against innocent men, women and children but that the airstrikes "risk exacerbating an already complex situation in the absence of any coherent strategy to contain the violence and in the longer term, build peace". Lucas said: "If our ultimate goal is to protect people - and it should be - there are other effective steps that could be taken, including stepping up soft and hard diplomacy, looking anew at sanctions, the freezing of assets and the continued flow of arms to the region." Bartley: "Both the Green party and UKIP recognise neo-liberalism is failing but the problem is UKIP are blaming migrants. It is up to the left to put up an alternative vision." Following Trump's strikes on Syria Bartley said: "The UK Government should immediately reconsider its inhumane treatment of the people fleeing this terrible conflict. We must allow more refugees from Syria to find safety in our country." In a joint article for the Independent the co-leaders wrote of the UK's own travel ban, a comment on May's decision to stop letting vulnerable children into the UK: "As the fifth richest country in the world, can we really only find room for 350 of their children? The Government should have been doing everything possible to help local authorities to house these children, but instead they've cancelled the scheme altogether." During the July 2014 Israeli bombardment of Gaza, Lucas called on the Foreign Secretary to step up action and secure an end to the violence. In September 2014 the Green Party called on the UK Government to halt Israeli/UK military co-operation and declared their support for the Boycott, Divestment and Sanctions (BDS) campaign. 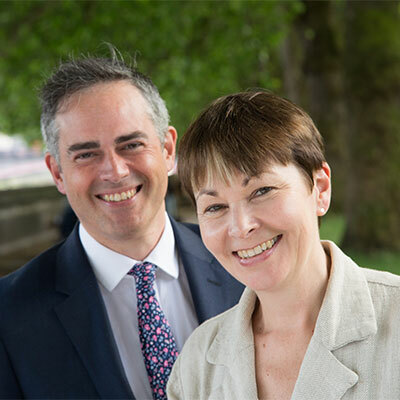 Alongside the wider Green Party, Bartley has declared his support for active participation in the BDS campaign and has said that neither the UK Government or British companies should be selling arms to Israel. In 2017 the Green party condemned Boris Johnson's push to keep selling arms to Saudi Arabia after a funeral was bombed in Yemen on 8 October 2016. Bartley said it revealed Johnson's "stunning disregard for human rights... Britain should stop selling arms to Saudi Arabia immediately. UK weapons must not be used to violate international law and human rights." Bartley has also said that the UK has "the blood of innocent Yemenis on its hands" if we continue to sell arms to Saudi Arabia. The party has called for a complete and immediate ban on the sale of arms to Saudi Arabia and all other authoritarian regimes. "The UK must stop propping up undemocratic regimes across the world with arms," Bartley explained. The Green Party called on Theresa May to raise allegations of war crimes in Yemen when she visited Saudi Arabia in April." The SNP is the third largest political party in the UK, in terms of membership, after the Conservatives and Labour. 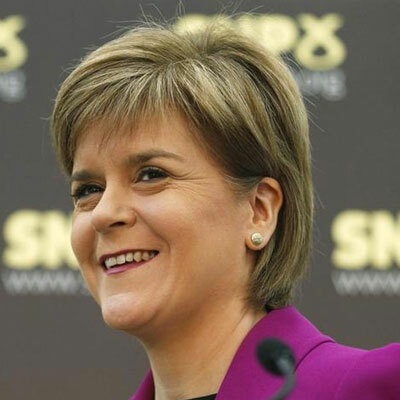 Leader Nicola Sturgeon is also the First Minister of Scotland and the first woman to hold either position. In response to the government's counter-terrorism bill Sturgeon said: "Muslims are not responsible for terrorism, and it's important that nothing we do gives the impression that they are. But governments have got a duty to keep their populations as safe as possible, so there is always a balance to be struck." Sturgeon warned that European Muslims felt a "double burden" after attacks like the assault in Brussels. Muslims feel "exactly the same revulsion as the rest of us", she said, but faced the additional strain at being unfairly blamed for the attacks. She also said of the attack in Brussels: "These events serve as a stark reminder of importance of why we are trying to tackle hate crime, to strengthen diversity and community cohesion." Sturgeon called for US President Trump's visit to the UK to be cancelled whilst his Muslim travel ban was in place and told British Prime Minister Theresa May that she should voice concerns about Trump more forcefully adding that relationships have to be built on values. In 2015 Sturgeon called for the immediate publication of the Chilcot report and said it was "time for the truth" on events leading up to the 2003 Iraq war. "The invasion of Iraq was, I believe, a foreign-policy blunder of epic proportions, the consequences of which we are living with today and will do so for many years to come. Those responsible for leading the UK to war will have to answer for their actions, but only the full publication of the report will allow them to do that." In 2015 Sturgon committed the SNP to voting against any military intervention in Syria by the UK saying that British strikes would add to the "already unimaginable human suffering in the region"." In 2015 Sturgeon offered to house Syrian refugees and said Scotland was ready to take 1,000. In 2016 she announced that ministers and council chiefs would accelerate plans to bring Syrian child refugees to Scotland and help unite them with their families living. By September 2016 Scotland had taken in 1,000 Syrian refugees. Sturgeon advocates for the UK to formally recognise the State of Palestine alongside Israel and advocates that a two-state solution will help advance peace in the Middle East. The SNP's 2015 manifesto called on the next UK Government to support the formal recognition of a Palestinian state. Sturgeon has criticised Westminster's record on arms sales: "I'm a very strong advocate of ethical foreign policy and ethics in arms sales. I think the UK government has not always covered itself in glory in terms of who it provides arms and weapons to." Plaid Cymru is a Welsh political party which aims to secure an independent Wales. 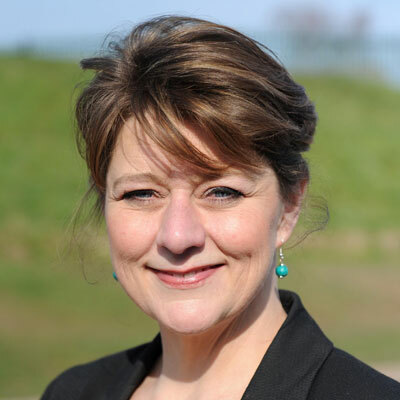 Leader of the party, Leanne Wood, is the first female leader in the party's history. In 2004 Leanne Wood launched an attack on new anti-terror laws, saying they came "from a Labour government you should all be ashamed of". Muslims for Plaid have said the following about Plaid Cymru: "As Welsh Muslims we had been impressed by the principled stance the party had taken against the invasions and Afghanistan and Iraq ...The horrendous loss of life and chaos into which the countries quickly descended showed the manifest error of the politicians in Westminster, trading the 20/20 foresight of Plaid Cymru for the 20/20 hindsight that commentators now view the decision to go to war." Wood said that US President Trump's Muslim ban is a "blatant Islamophobic policy". Wood is anti-war and blames former US President George Bush and former British Prime Minister Tony Blair for "home-grown" terrorism. In 2015 Wood said David Cameron had failed to deliver a comprehensive plan over airstrikes against Daesh: "Dropping bombs from the air will not lead to the defeat of Daesh. Neither will it secure peace for the people of Syria or bring stability to the wider region." She said that military intervention in Syria could only be undertaken as part of an internationally-agreed plan. On 9 April 2017 Wood responded to Trump's strikes on Syria with the following post: "If Trump really cared about 'beautiful Syrian babies', he would not have done this and he would not be stopping refugees from Syria entering his country. These actions have heart-breaking consequences." Wood once slept on the streets of Cardiff to highlight the issue of immigration. In 2017 she told migrants that anyone living in Wales and who wants to be Welsh should be treated as such. The leader has vowed she will open her home to Syrian refugees fleeing the war-torn country. Wood has repeatedly called on the UK to take its fair quota of refugees. In a Facebook post in July 2014 Wood wrote: "Let the world know loud and clear, Wales supports Palestine. Stop bombing Gaza. End the Occupation. Lift the siege. Let the refugees return. Free Palestine." On her decision to join a protest in 2008 against a visit by Israeli Ambassador Ron Proser, Wood said: "The Israeli ambassador has been able to travel here unhindered, which is in stark contrast to the way Palestinian people are corralled by Israeli troops, herded through security gates and kept in what has become virtually an open prison." On 7 December 2013 she wrote on Facebook: "Mandela: "We know too well that our freedom is incomplete without the freedom of the Palestinians.. Yes, all of us need to do more in supporting the struggle of the people of Palestine for self-determination." What we know is that Israel has weapons of mass destruction. Nobody talks about that. Why should there be one standard for one country, especially because it is black, and another one for another country, Israel, that is white," she wrote in reference to the Bush-Blair attack on Iraq on the false premise that it had stocks of weapons of mass destruction. In November 2016 Wood asked the Welsh Government if it was appropriate for them to be cosying up to Saudi Arabia given the regime's brutality.